The Tax Court judgment in XYZ CC v C:SARS (ITC 13 868) (“XYZ case”) was recently delivered as a stern reminder to taxpayers who only follow the objection process as a method to purposely delay the payment of tax, where there appears to be no valid basis to do so. The unlucky result for the taxpayer in XYZ case was that default judgment was granted and SARS’ assessment was confirmed, without the option of any further Objections or Appeals being delivered by the taxpayer; even if this taxpayer in actuality had a valid legal defence to the assessment. Therefore, the XYZ caseconfirms the importance of involving an admitted tax attorney early in the tax dispute-resolution process. The Rules (“the dispute resolution rules”) promulgated under section 103 of the Tax Administration Act, No. 28 of 2011, set out the procedure for lodging an Objection and Appeal against a SARS decision or assessment. The dispute resolution rules further set out various mechanisms to ensure that disputes are expeditiously resolved. One such mechanism is included under Rule 56 of the dispute resolution rules which entitles a party (either SARS or the taxpayer) to either: (a) apply for default judgment against another (defaulting) party that has not complied with the dispute resolution rules, where there exists a clear obligation on the defaulting party; or (b) obtain a Tax Court order, compelling the defaulting party to comply with a requirement in the dispute resolution rules. While many taxpayers, with the assistance of a suitably-qualified tax attorney, have made use of Rule 56, SARS seldomly made use of this mechanism. The XYZ caseis, however, a clear indication that times are changing and that SARS and our courts will no longer tolerate frivolous disputes and intentional delays by taxpayers. In the XYZ case,SARS raised an assessment following the under-declaration of income by the taxpayer which led to the taxpayer lodging an Objection and, later, an Appeal to the Tax Court.The basis for SARS requesting default judgment against the taxpayer was that the taxpayer, after having delivered the Appeal and having received SARS’ Rule 31(2) Statement of Grounds of Assessment (“the SARS statement”), failed to deliver its Rule 32 Statement of Grounds of Appeal (“the taxpayer statement”), within 45 business days of receiving the SARS statement; despite being specifically required by Rule 32(1) to do so. Instead, the taxpayer requested an extension (of almost one year and until 30 April 2018) within which to deliver the taxpayer statement. The extension was granted until 15 December 2017 only, however, the taxpayer statement was still not delivered. The taxpayer was then ordered by the Tax Court to deliver the taxpayer statement by no later than 27 February 2019 – still, the taxpayer did not comply. This led to SARS’ Rule 56 application being heard in the Tax Court on 27 February 2019. On this same date, the taxpayer requested a further postponement, which the Tax Court rejected. Instead, the Tax Court granted the default judgment in favour of SARS; indicating that the taxpayer intentionally delayed the resolution of the dispute without “any substantial reason”. 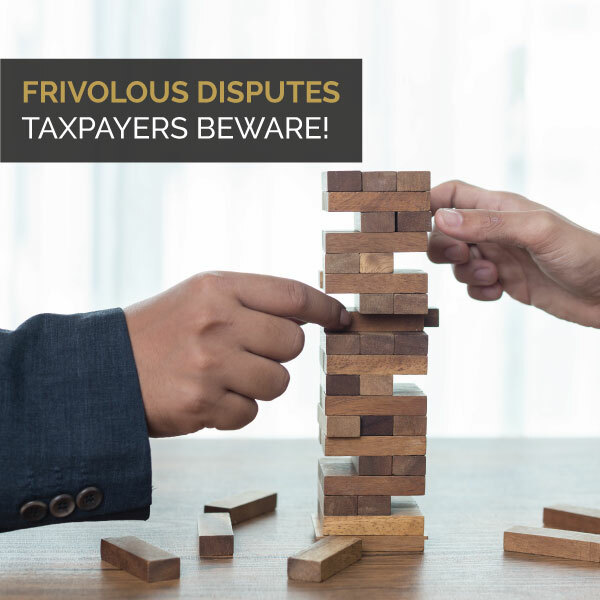 From the court judgment, it is clear that the Tax Court is not convinced that the taxpayer had a legitimate dispute and was instead intentionally delaying legal process. Had the taxpayer, however, made use of an expert tax attorney instead, all necessary documents would have been timeously and properly prepared and the matter resolved in favour of the taxpayer. The taxpayer is now faced with a hefty tax bill, which is accompanied by Tax Court costs and possibly penalties and interest for the under-declaration of its income.